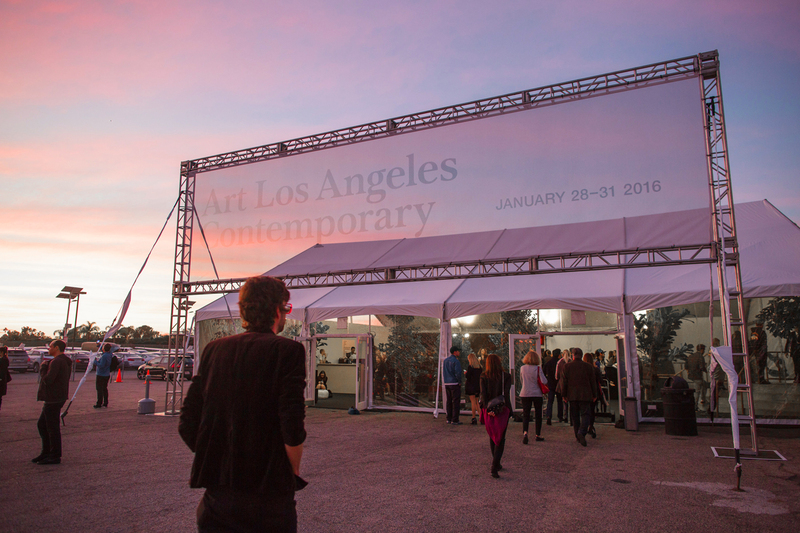 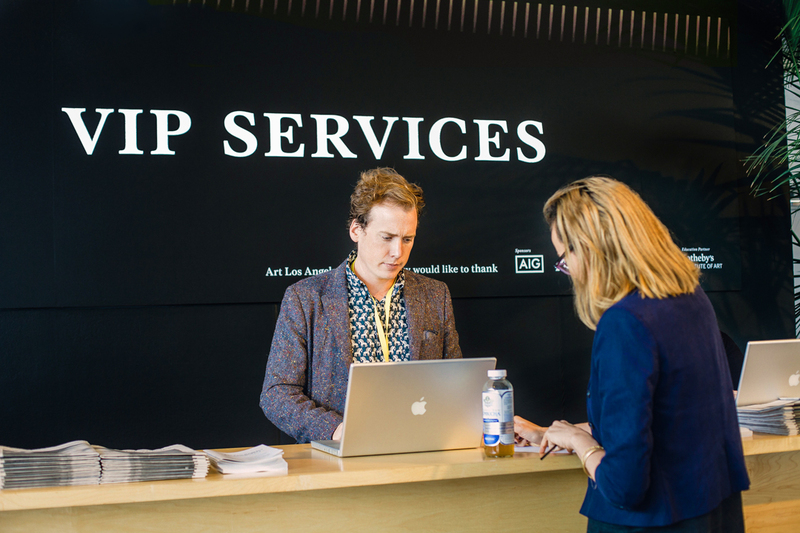 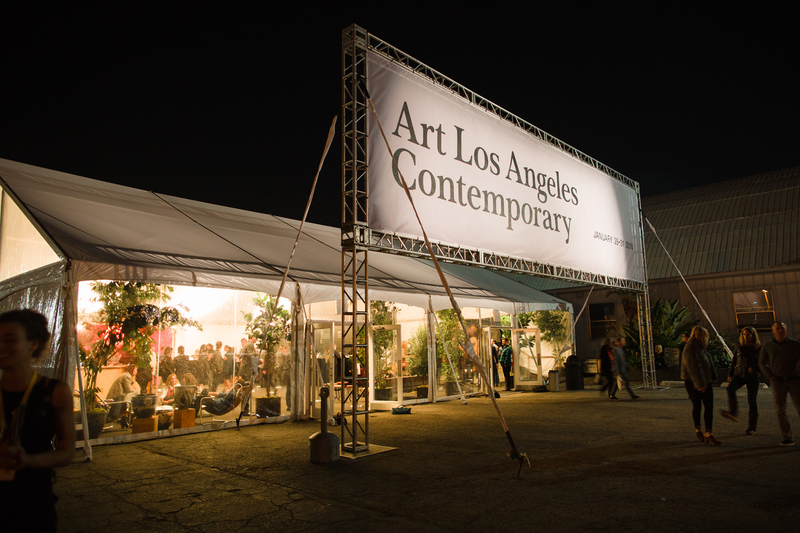 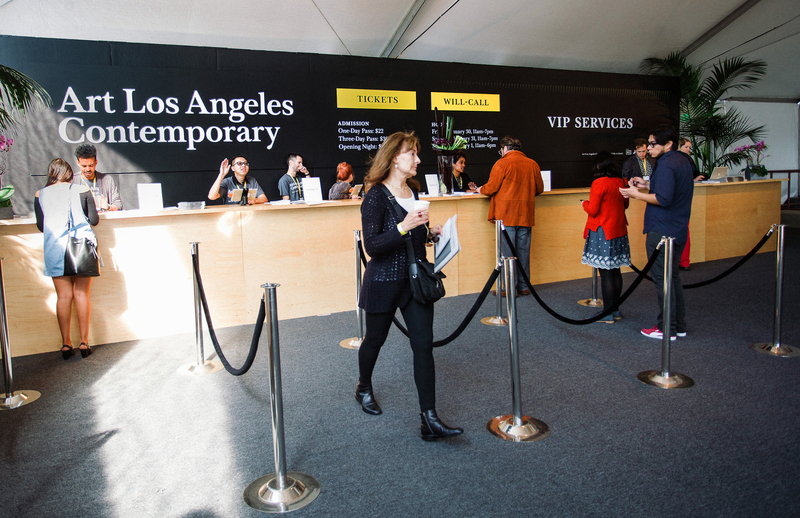 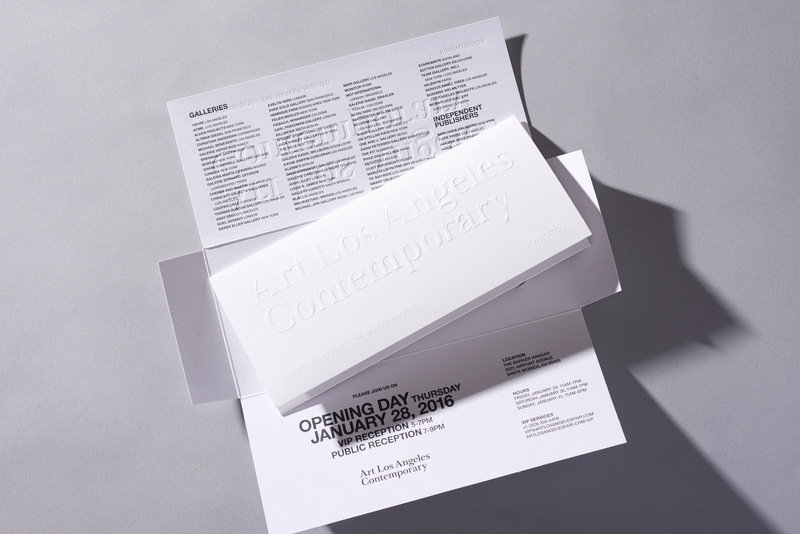 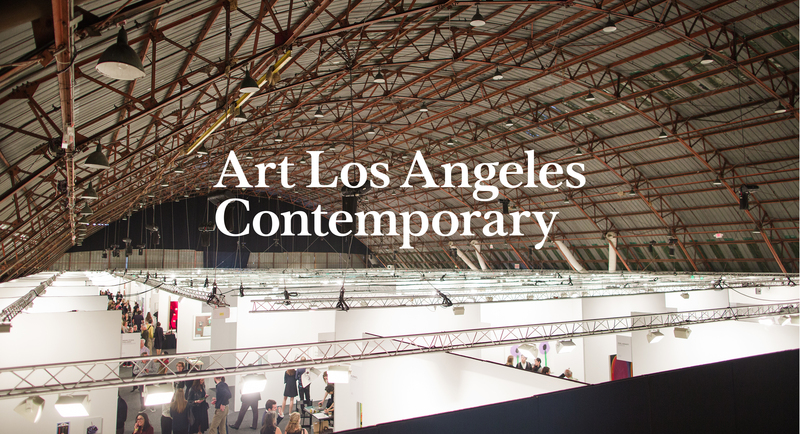 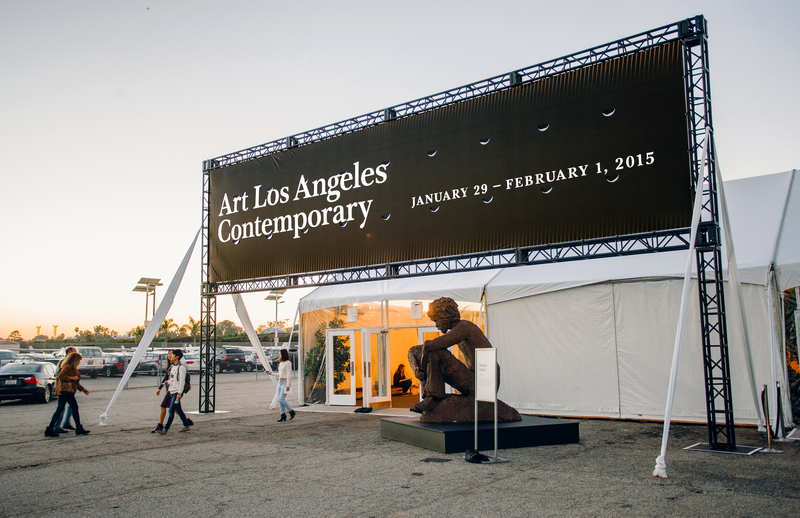 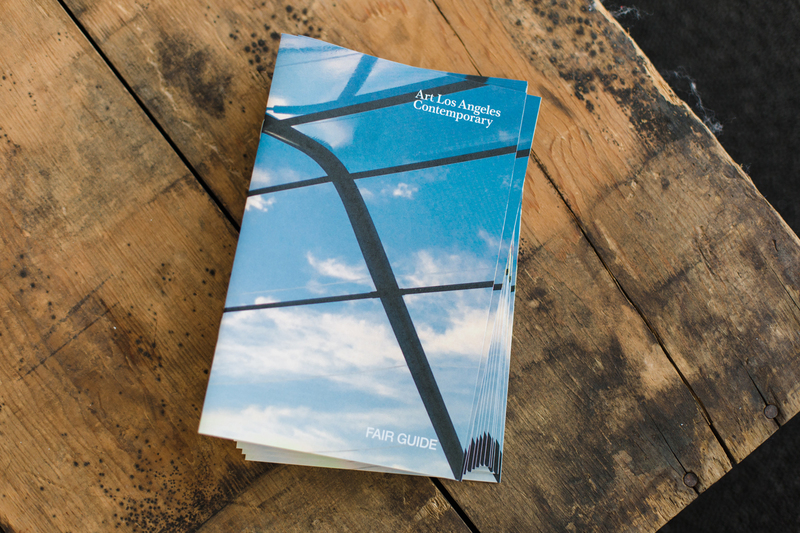 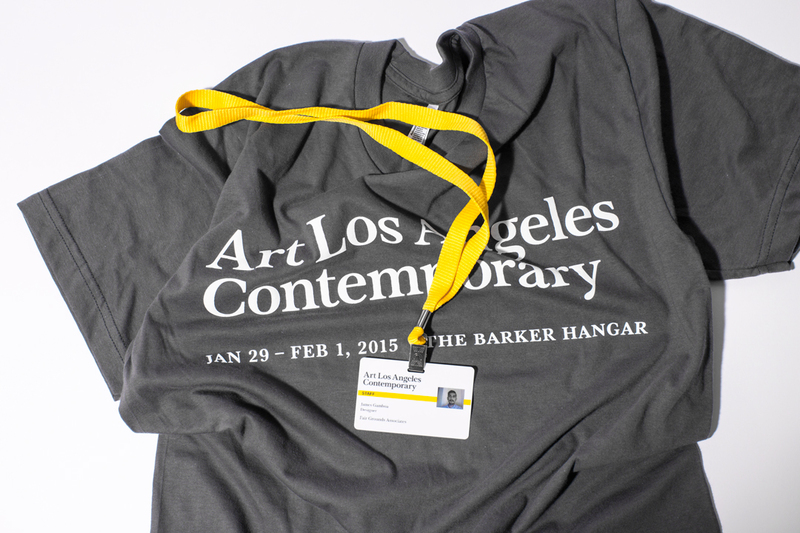 Located in the Barker Hangar in Santa Monica, Art Los Angeles Contemporary presents over 60 leading international blue chip and emerging galleries, with a strong focus on Los Angeles-based programs. 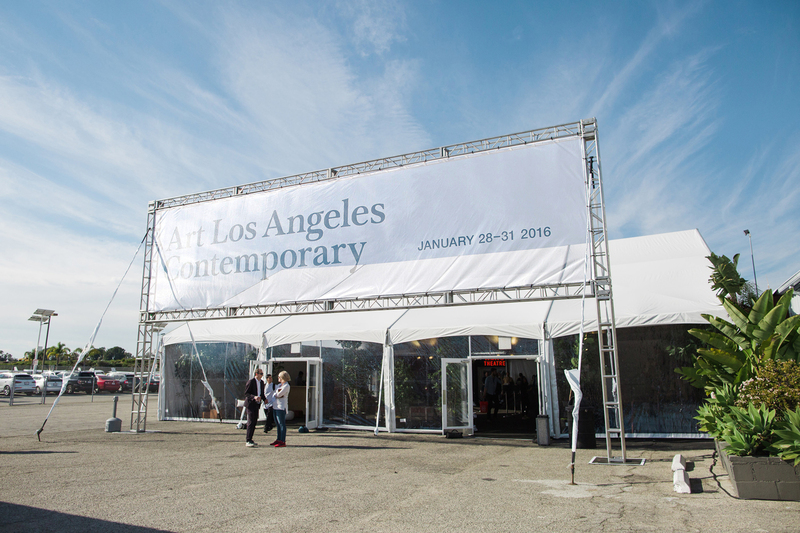 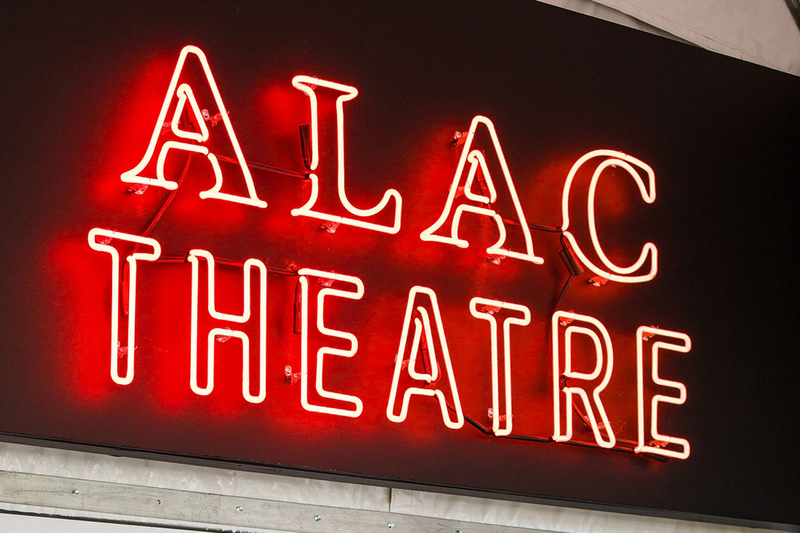 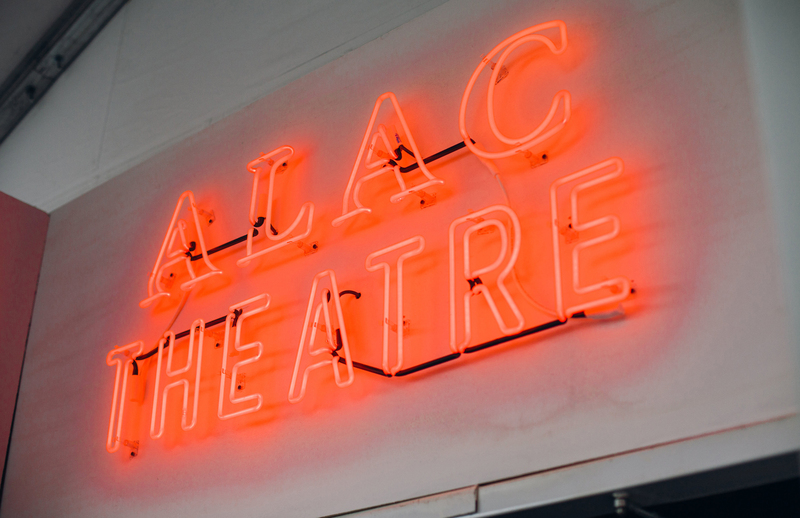 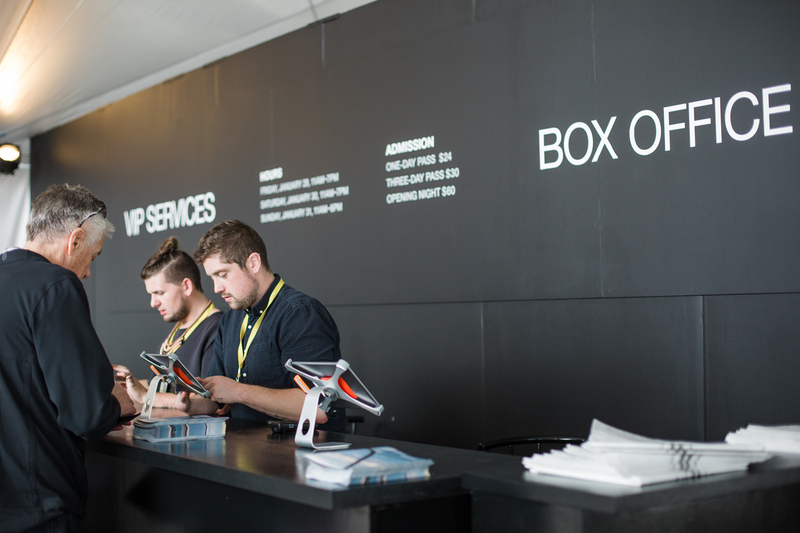 The fair provides an informed cross section of the contemporary art world while maintaining a sophisticated yet accessible environment for art collectors, curators, and influencers to enjoy. 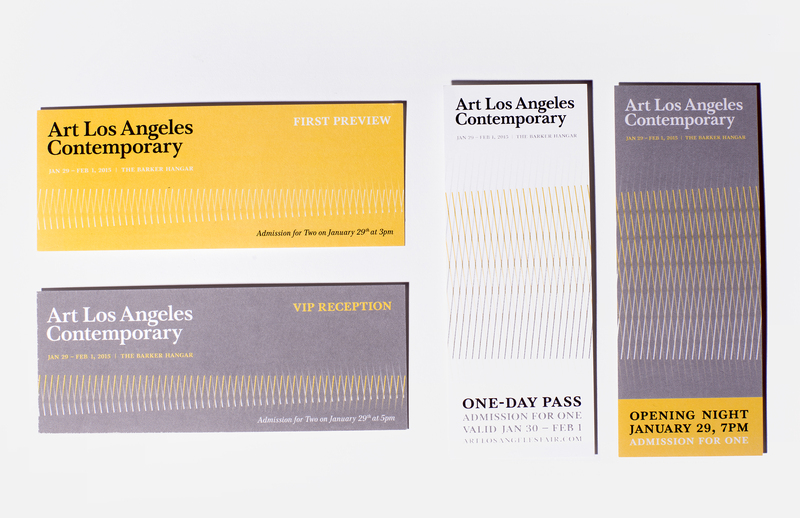 Fair exhibition identity. 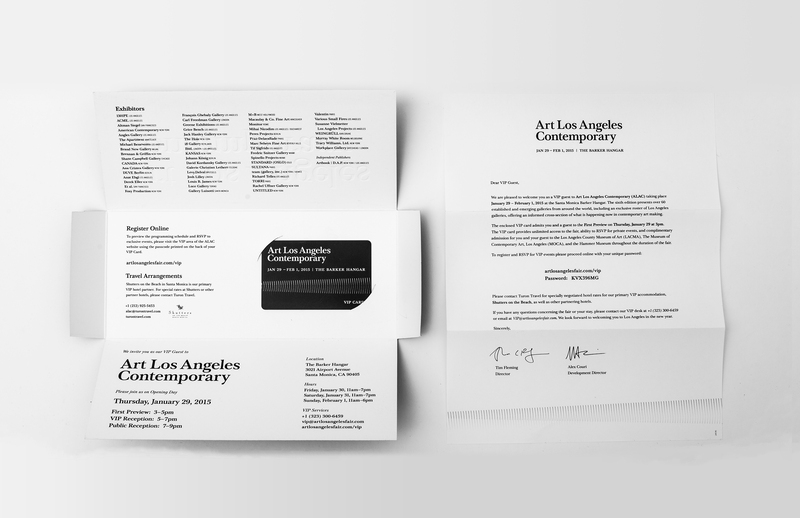 Design direction for graphics/title treatment, didactics, wayfinding signage, ticketing, print ads, invitations, merchandise and various collateral. 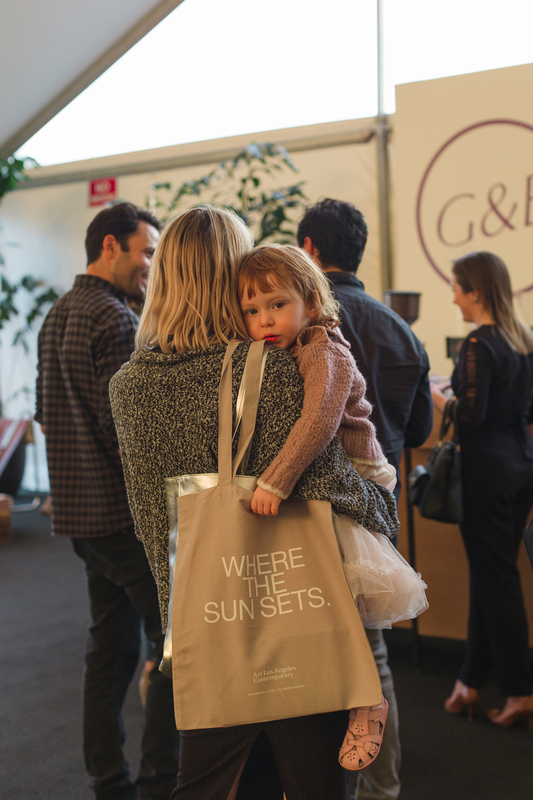 Fairground imagery courtesy of Gina Clyne. 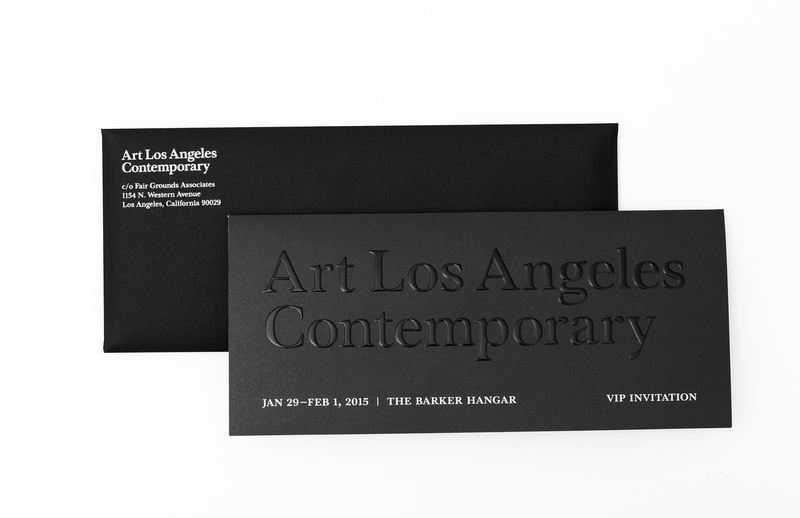 9 X 16” (FOLDS DOWN TO 9 X 4”), MULTI COMPONENT VIP MAILER IS BLIND EMBOSSED WITH A SPOT AQ COAT. 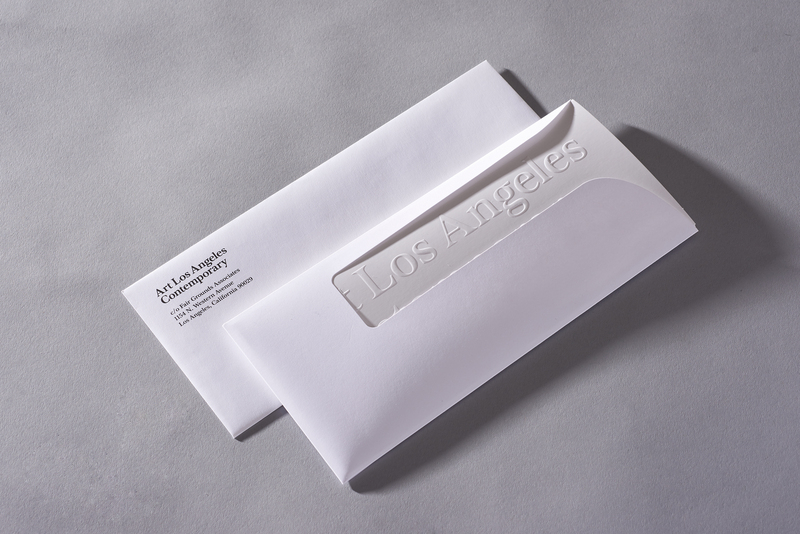 DIE CUT SLEEVE WITH A PLASTIC CARD INSERT. 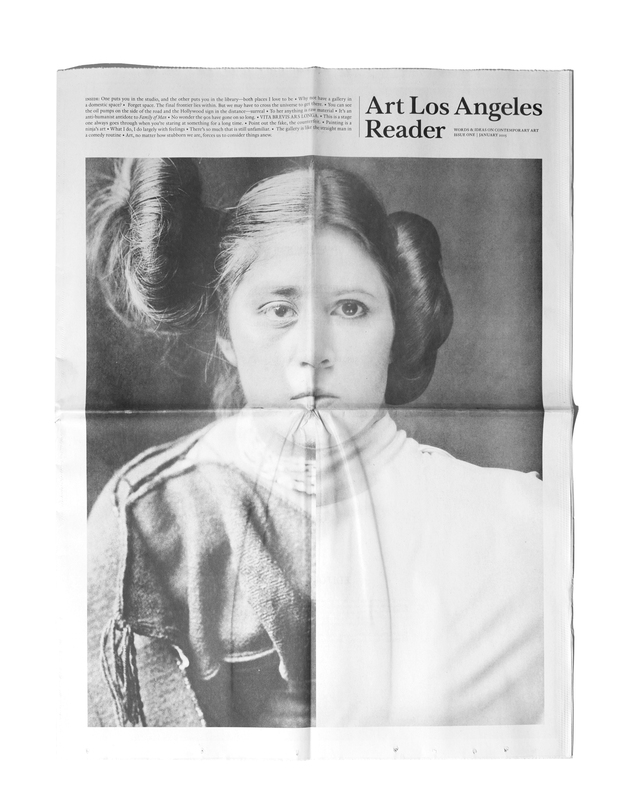 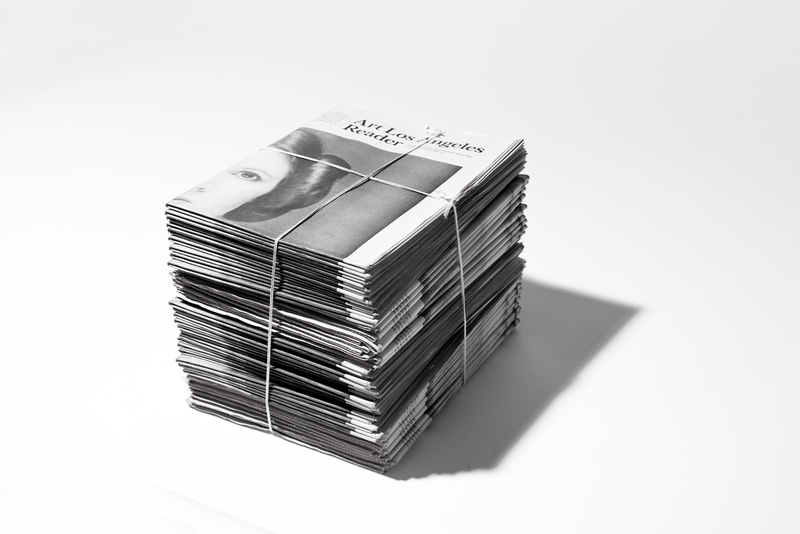 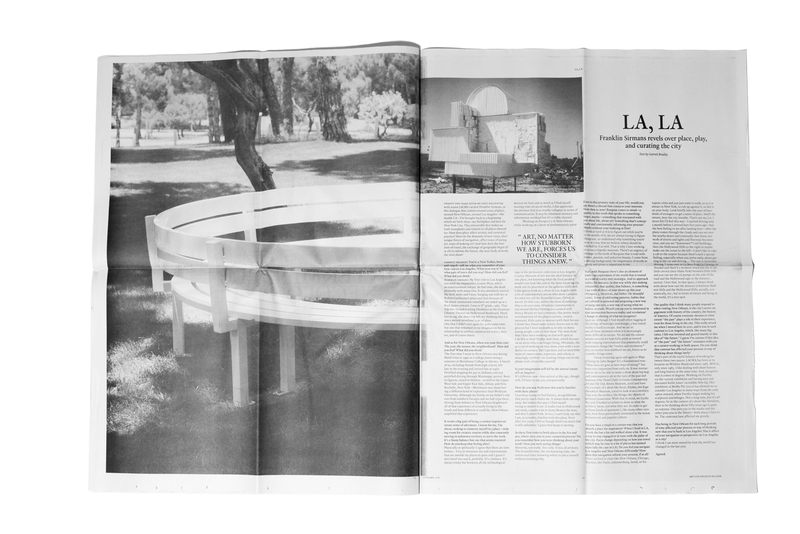 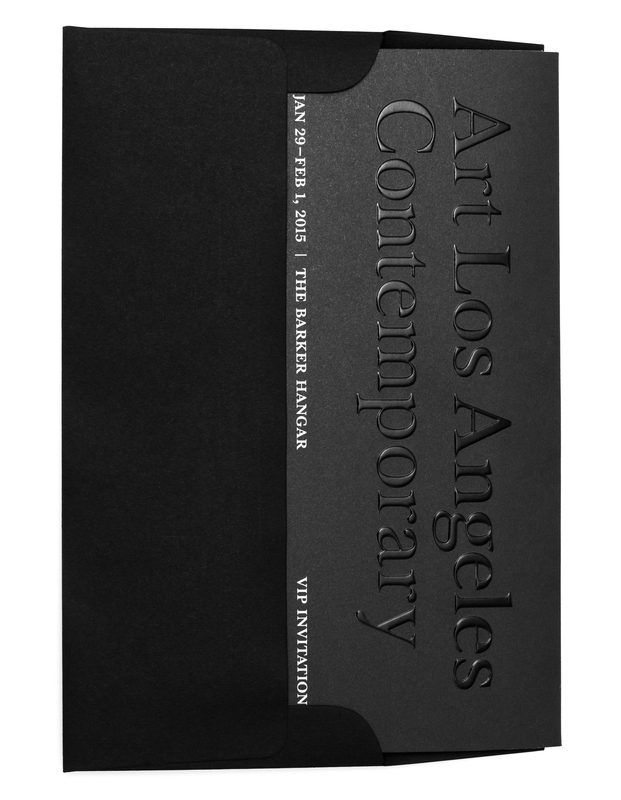 Design Direction for issue one of the Art Los Angeles Reader. 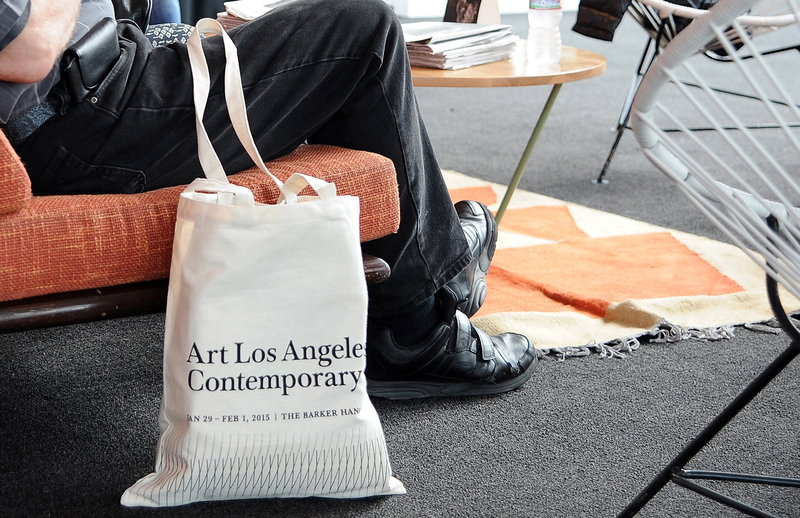 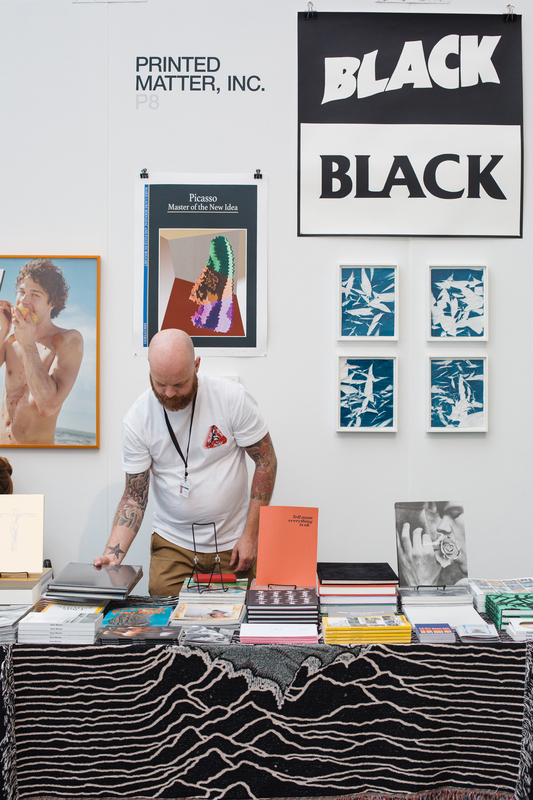 Offering on-site engagement with words and ideas on contemporary art, the Reader touches upon themes of circulation and exploration, creating a framework for a dialogue between its editorial content and the artwork being presented at the fair. 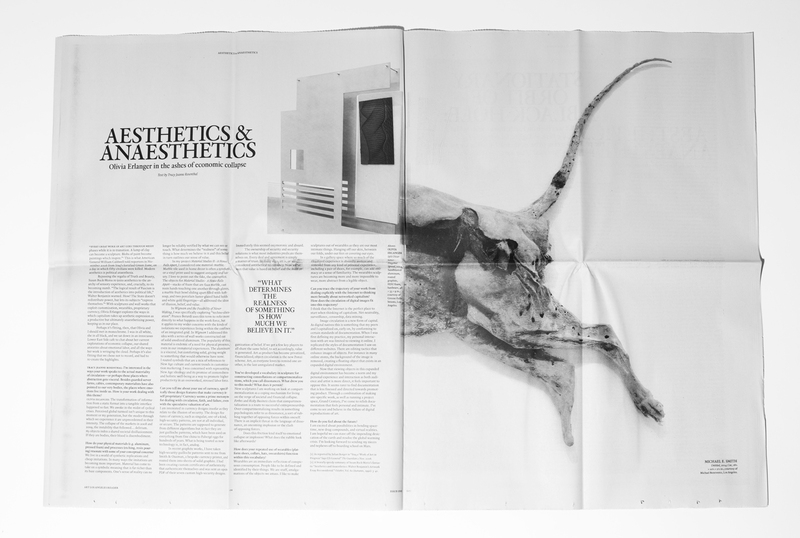 Mirroring the experience of visiting the fair itself, the Reader can be experienced not only as a newspaper, but also as a series of posters that take shape as they are turned. 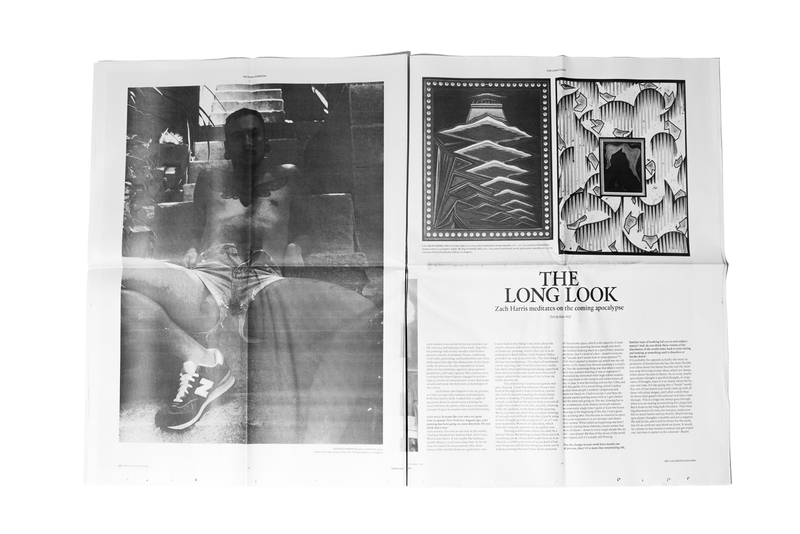 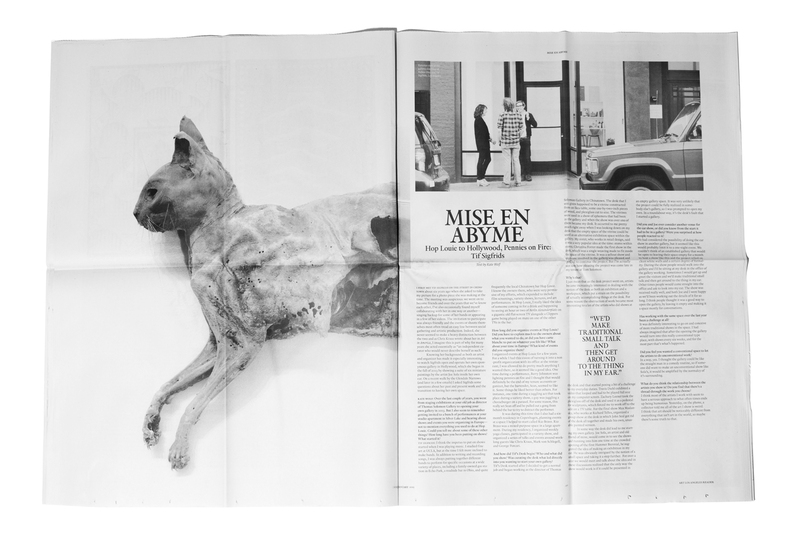 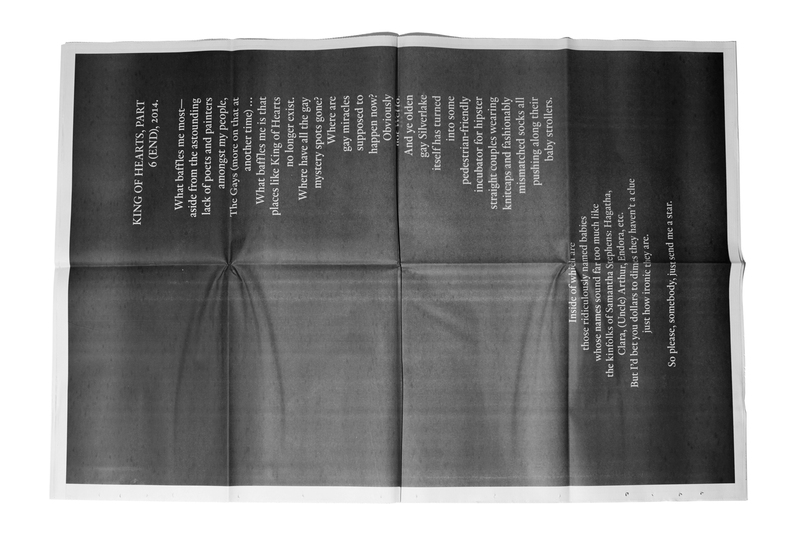 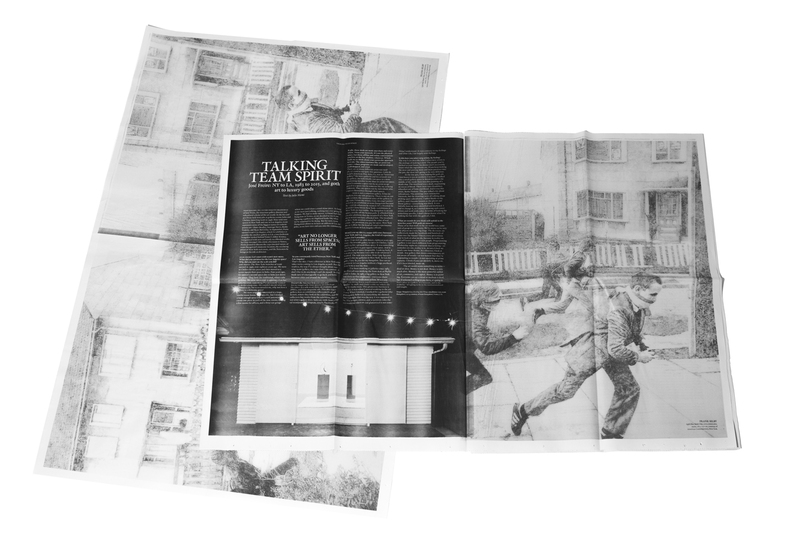 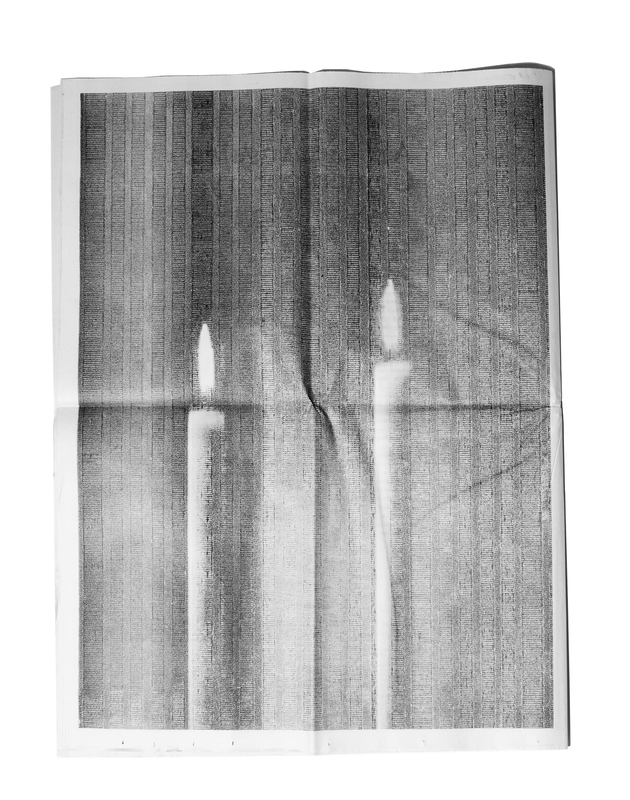 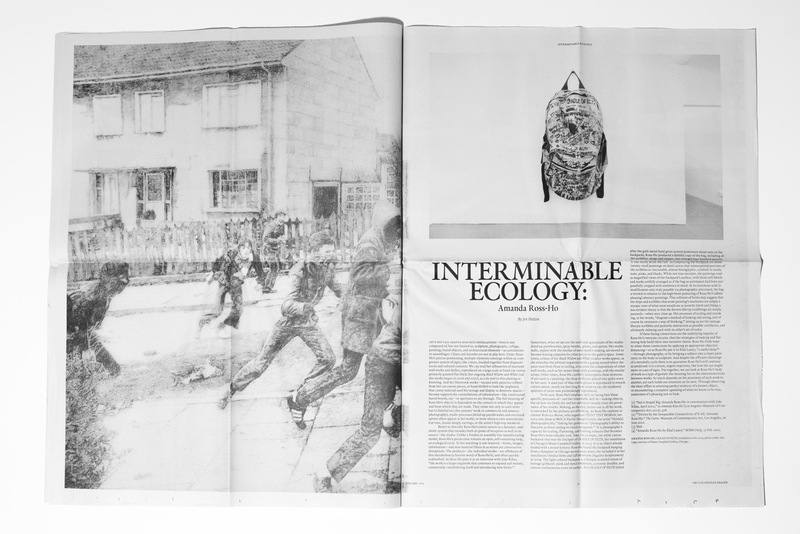 Newsprint, 34 x 22.75 (folds down to 8.5 x 11), black and white newsprint reader is loose bound also serving as a poster set. 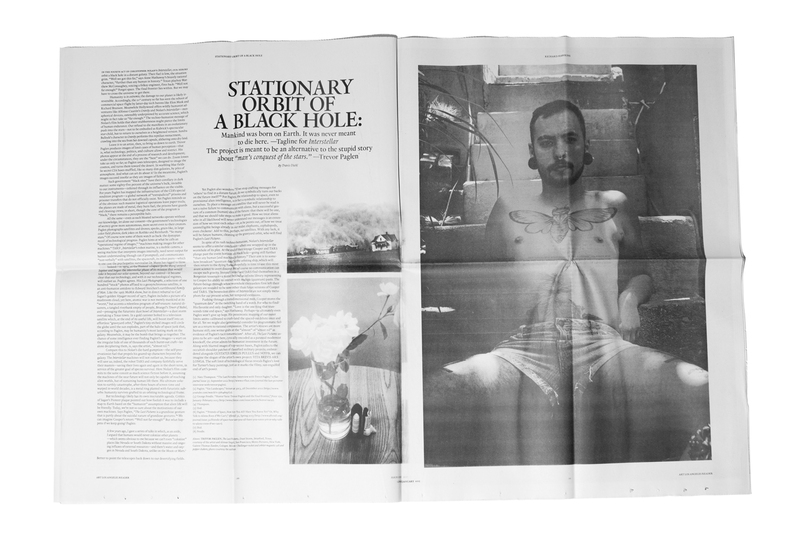 images courtesy of Cody Cloud. 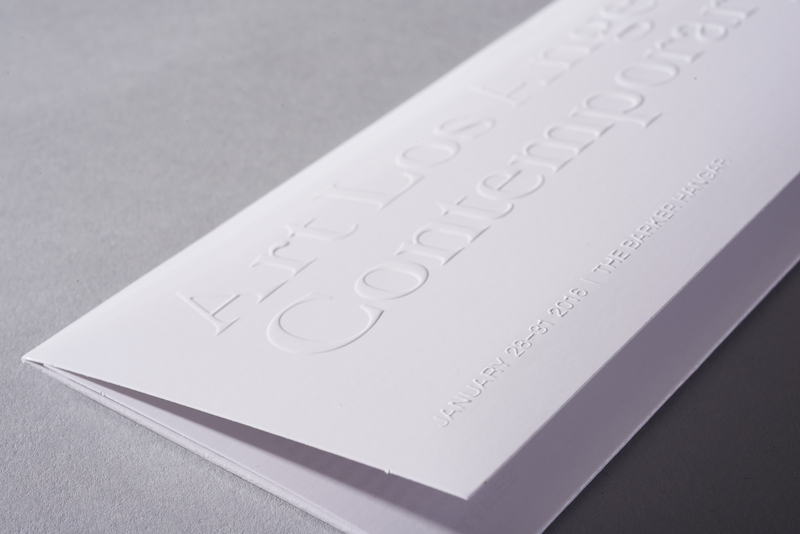 Fair exhibition identity. 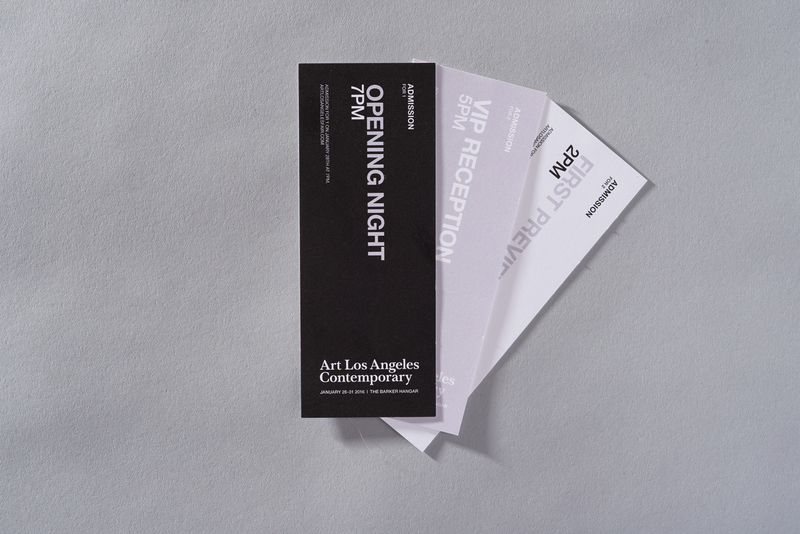 Design direction for graphics/title treatment, didactics, wayfinding signage, information desk + ticketing, print ads, invitations, merchandise and various collateral. 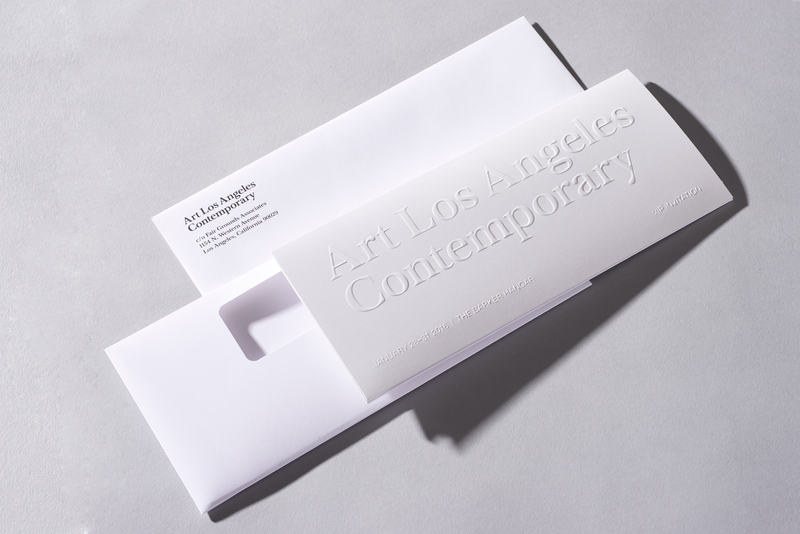 9 x 16” (folds down to 9 x 4”), multi component mailer is die cut, foil stamped/embossed with a plastic card insert. 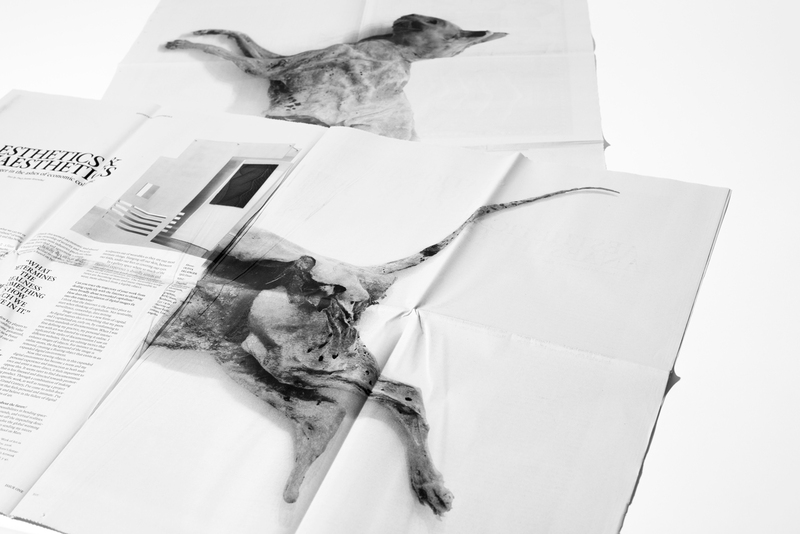 images courtesy of Cody Cloud.